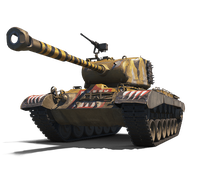 A special sale is on for the VIII M46 Patton KR ! The M46 Patton fought in the Korean War. The first M46 Pattons to land in Korea during the war belonged to the 6th Medium Tank Battalion. Known as "Ripper Pattons", they were later allocated to the 8th Army. These vehicles had tiger faces painted on them in an attempt to evoke fear on the opposing side. Feel like getting one? Choose from the packages below!